CB Forklift Inc. is a family owned business operating in Southern California with decades of experience. We offer a wide variety of services including, but not limited to on-site forklift repair, maintenance, and parts location and sales. Our team is capable of working with any make and model and type, such as propane, electric, and diesel forklifts. We also service other heavy material handling machinery and warehouse equipment. 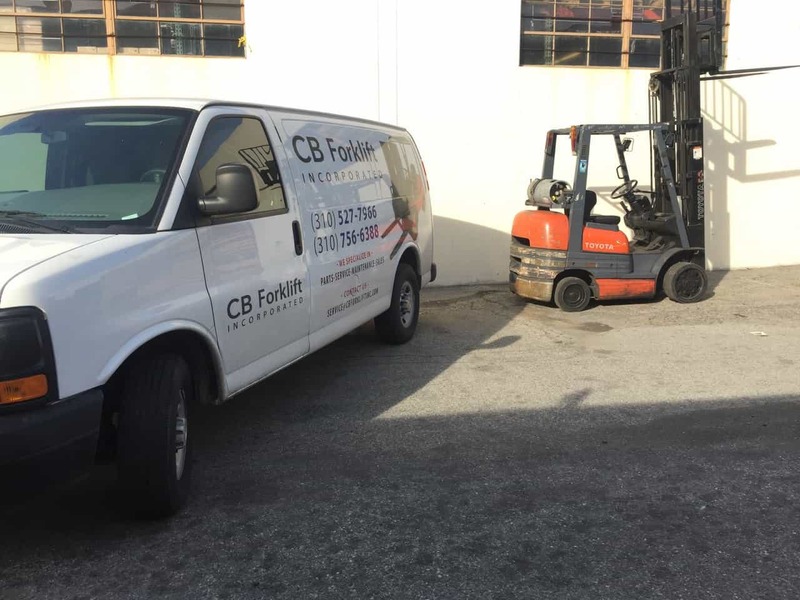 CB Forklift Inc. has been providing on-site repairs, preventative maintenance, and parts sales with flexible scheduling since 2011. Our team of trained experienced technicians is always determined to resolve any issue your forklift may have in a timely manner. 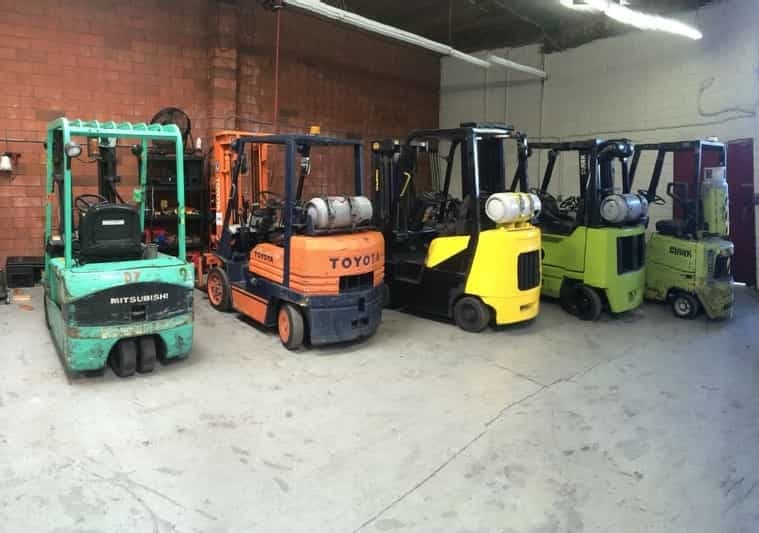 Getting your forklift back to its best working condition quickly and efficiently, with affordable and competitive pricing, is always our top priority. 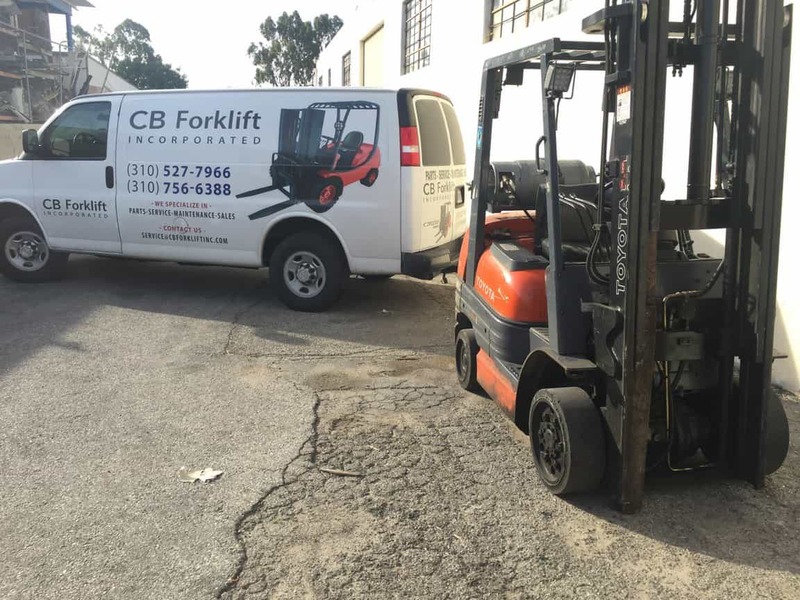 No job is too small or too large for CB Forklift, Inc. We handle repairs for any type of material handling equipment, as well as other warehouse accessories like roll-up doors and loading docks. Our technicians have decades' worth of experience to utilize on your equipment. Our team is capable of working with any machine brand and type, such as propane, electric, and diesel. 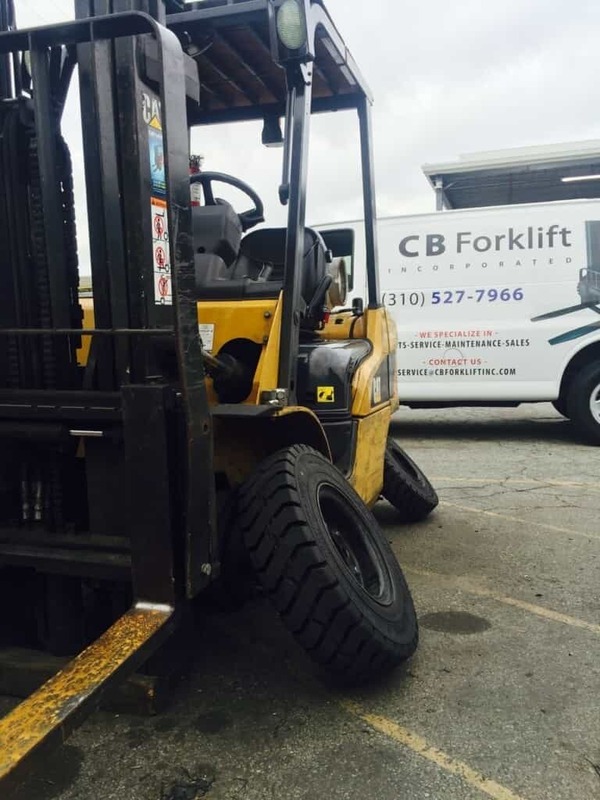 CB Forklift provides mobile repair services throughout Southern California and we work directly at your work site. Our technicians use a fully stocked van with commonly used parts and specialized tools for repairs. We have multiple types of insurance for damages and injuries, so you can rest assured that safety is our top concern. Each job is thoroughly inspected after the repair is completed to make sure that the equipment is safe to use and fully operational. Estimates are sent to follow up and address all repairs needed. You will be informed if a technician runs into an issue that was not anticipated, if further repairs are needed, or if your machine will need to be taken to the shop. We are able to provide a rental/loaner forklift while your forklift is in our shop. We also provide Preventative Maintenance (PM) services. A PM service is performed to check on the status of your machine and to detect/prevent potential issues. The technician makes sure that all of the functions are working properly, greases all pivot points and bearings, and checks on the fluids, among other things. Our standard PM includes all necessary greases and cleaners. We strongly recommend having all of your machines serviced as often as needed, which depends on the usage of each machine. Forklift negligence increases the chances of part failures that may lead to costly repairs. All forklifts should be maintained regularly. In addition to the standard PM, we also offer a PM with LOF for propane forklifts. This PM includes all of the services in the standard PM and also an oil change with a new filter. Our office is able to help with parts sales. Please use the Forklift Sales & Parts section to inquire about any parts that you need. CB Forklift can help you locate any part that you need. We have a large network of suppliers that source thousands of parts. Please fill out the Contact Us form or call us at 310-527-7966 and provide the details that we need for research. We will let you know if further information is needed. If nothing else is needed, you will receive an estimate from us. Below are some of the locations we service, but we also go to surrounding areas and everything in between. Feel free to contact us for a service call. Gardena, Compton, Rancho Dominguez, Torrance, Hawthorne, Lawndale, Carson, San Pedro, Long Beach, Cerritos, Lakewood, Wilmington, El Segundo, The Beach Cities, Harbor City, and the rest of the South Bay, South Los Angeles, Downtown Los Angeles, Vernon, East Los Angeles, Commerce, Santa Fe Springs, Pico Rivera, West Los Angeles, Santa Monica, Culver City, North Los Angeles, North Hollywood, Van Nuys, Northridge, Reseda, San Fernando Valley, El Monte, West Covina, Walnut, and Pomona. Anaheim, Orange, Buena Park, Fullerton, Cypress, Stanton, Garden Grove, Brea, Santa Ana, Tustin, Fountain Valley, Costa Mesa, Irvine, Lake Forest, Huntington Beach, and Newport Beach. Corona, Riverside, Chino, Ontario, Rancho Cucamonga, San Bernardino, Fontana, Moreno Valley, Jurupa Valley, Loma Linda, Colton, and the rest of Riverside County and San Bernardino County. We also have customers in Kern County, Ventura County, and San Diego County. CB Forklift, Incorporated has provided repair and maintenance services for material handling equipment since its foundation in 2011. Our top priority is to provide these services in a timely manner and at a competitive price. We work with our customers to keep their businesses running efficiently and with as little downtime as possible. We are looking for skilled candidates to join our growing team. CB Forklift welcomes motivated people, those that are problem-solvers and enjoy contributing ideas to improve business. We foster a culture where input from all employees is valued. There are opportunities for advancement and we offer a great benefits package. Please send a resume to the email address at the top of the page if you are interested in an open position, or feel free to apply directly through the job posting.